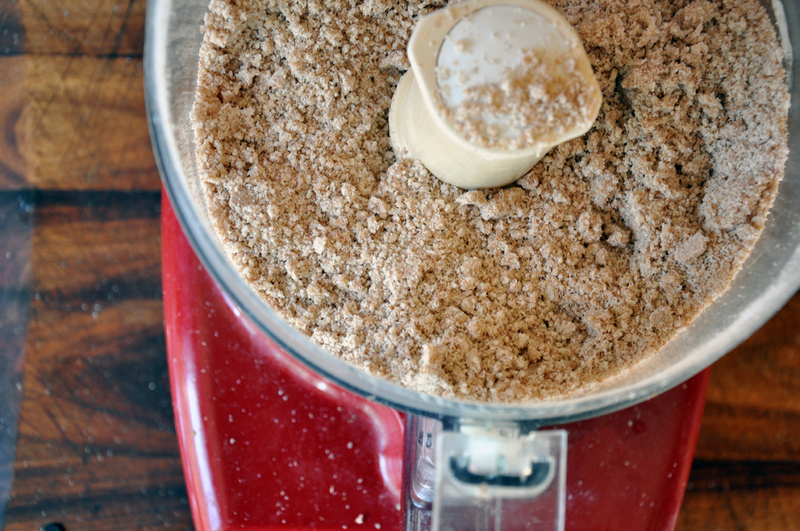 In the bowl of a food processor, pulse the flour and 1 tsp salt together. Add diced butter and pulse until you have coarse crumbs. With the motor running, pour the cold water through the spout until the dough just comes together. Pour out onto the counter and knead until it just comes into a ball. Flatten into a 1-2" disc, cover with plastic and refrigerate at least one hour. 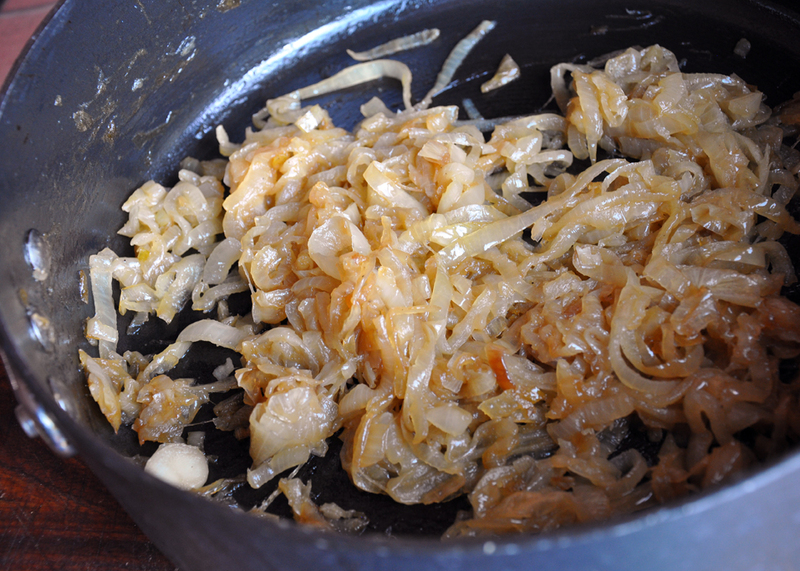 In a large skillet with tall sides (called a sautoir), heat 2 Tbsp EVOO over medium heat. Add onions and cook 20 minutes until they are all translucent and beginning to brown, stirring occasionally. Turn the heat to medium-low and add the sugar. Cook another 40 minutes until they are caramel colored (not browned). Add remaining 1/2 tsp salt and deglaze with the sherry to pull all the great fond from the bottom of the pan and to enhance the flavor. Remove from the skillet. 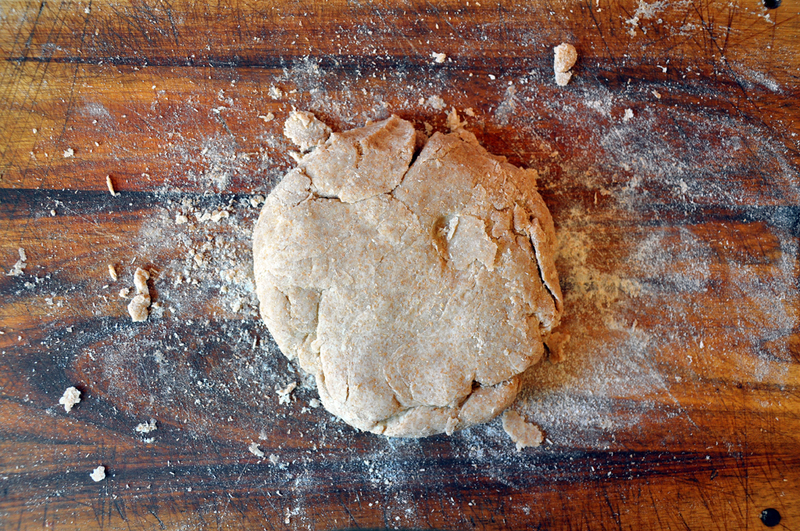 Remove the dough from the fridge and roll it out onto a lightly floured surface. 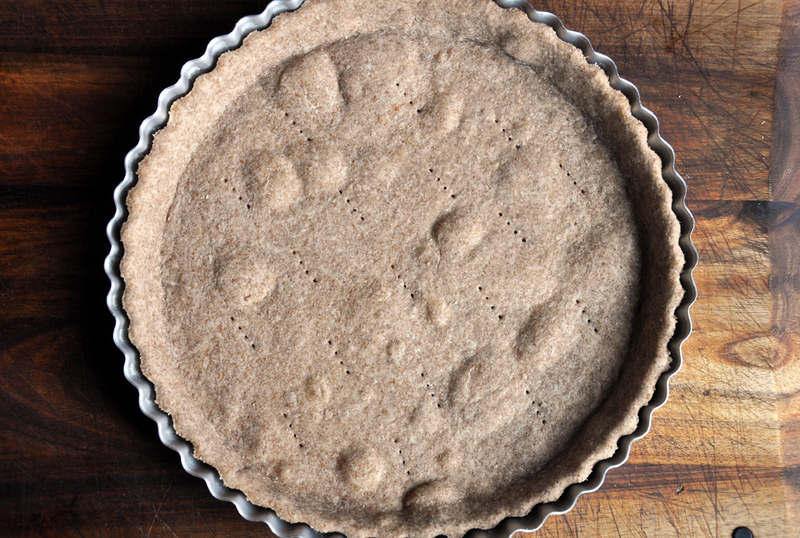 You want to use as little flour as possible and work it as little as possible. 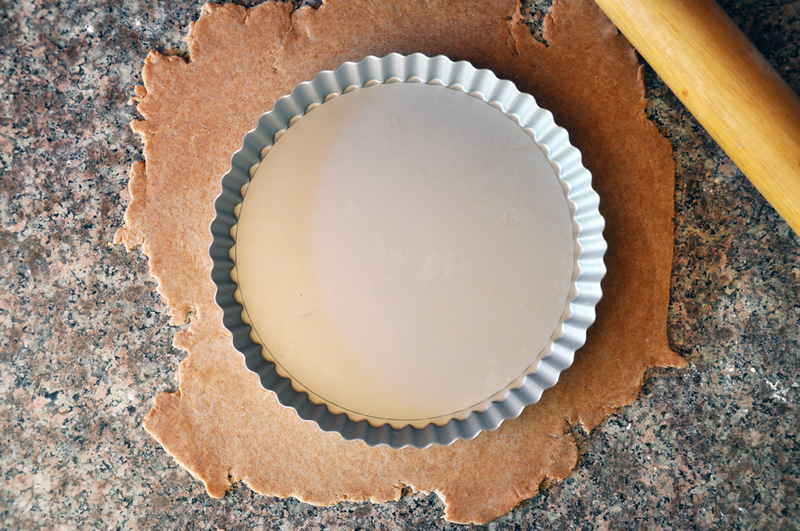 With each roll of your rolling pin, turn the dough a quarter turn to promote the formation of a circle. When the dough is 2-3" larger than your tart pan, roll it onto the rolling pin and then out into the cooking sprayed-lightly floured pan. First, lift the excess dough up while you push it down into the edges of the pan. then go back and press against the walls of the pan to secure it. 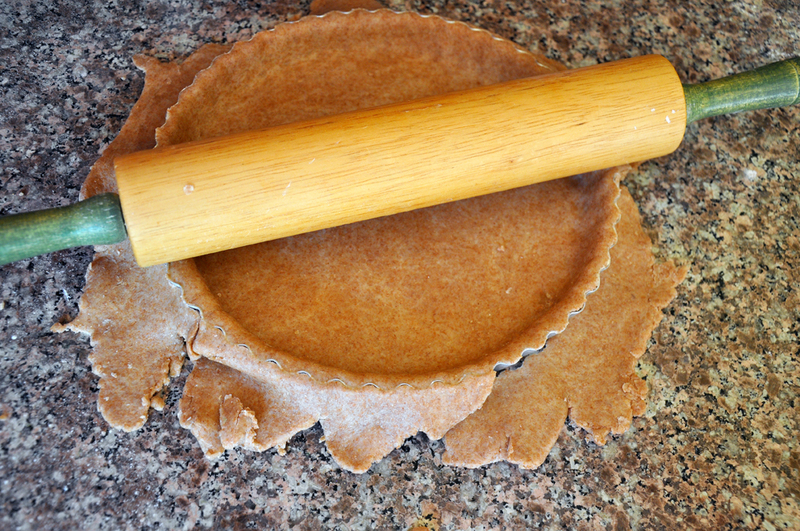 Trim the excess dough by rolling the pin over the top to cut it off. "Dock" the dough by pricking it several times with a fork. Line the pan with parchment paper (or foil) and fill it with beans. 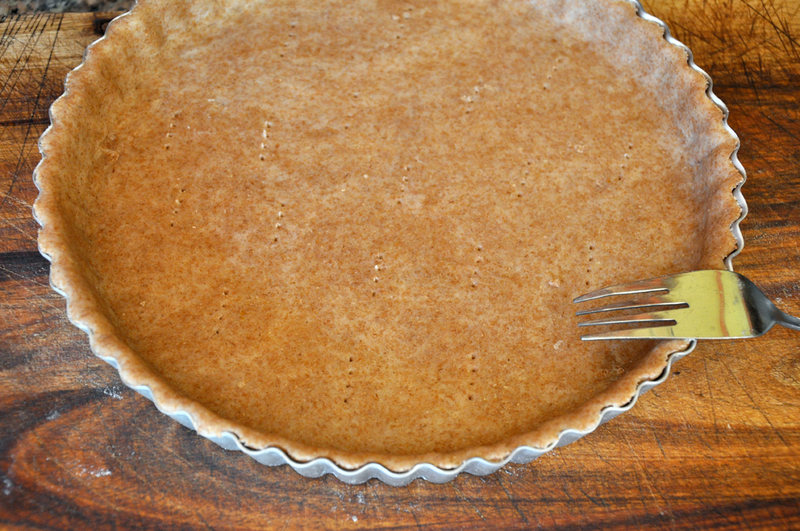 This will keep the tart in place as you pre-bake it (called blind baking). Blind bake for 15 minutes. Remove from the oven and then remove the parchment and beans. 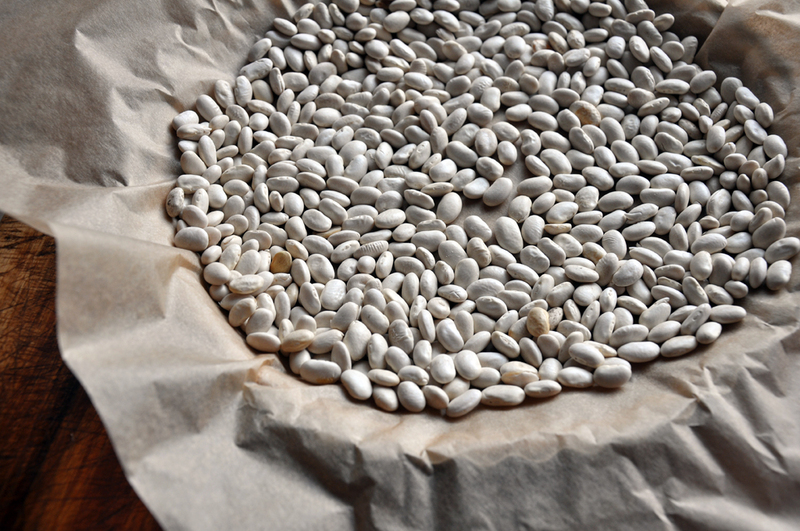 You can reuse the beans an infinite number of times to blind bake so save them! Meanwhile, after the onions are done add the asparagus to the onion skillet, cover and cook 3-4 minutes until slightly softened. Remove from heat. 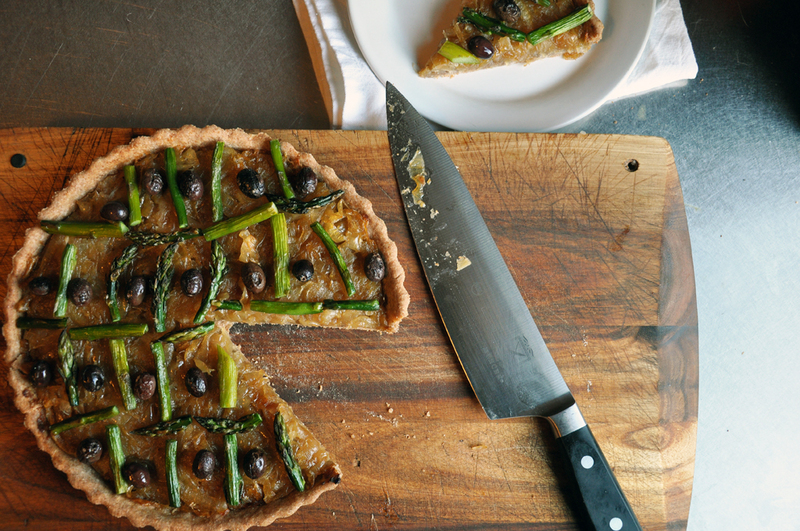 To assemble, brush the remaining 1/2 Tbsp EVOO over the crust. 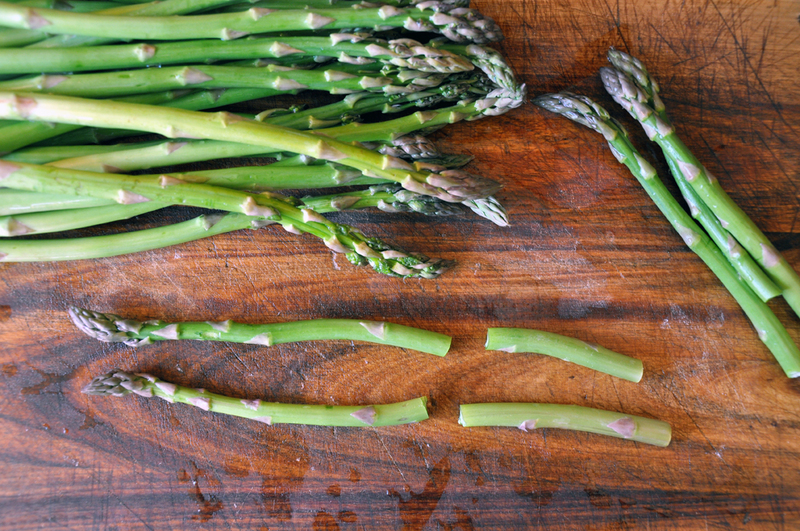 Then spread the onions evenly over top, and arrange the asparagus spears in a criss-cross line pattern. Place an olive in each "box." Bake 30 minutes. 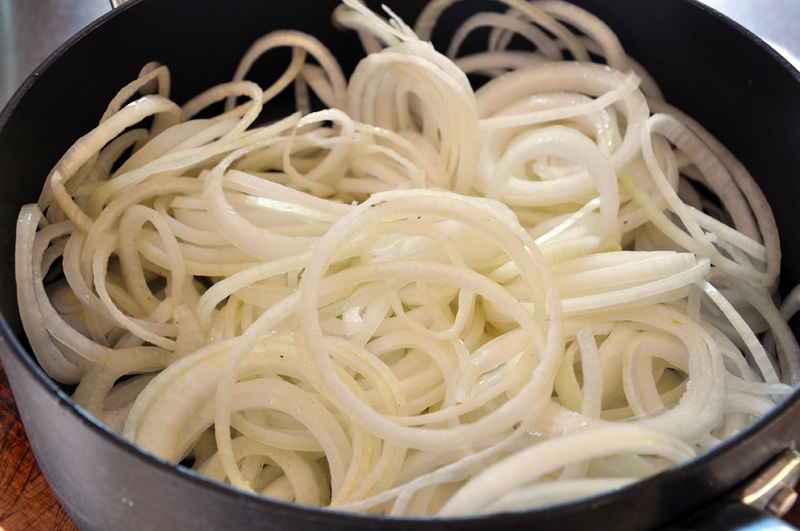 Let cool 5-10 minutes before removing from the pan, cutting and serving. This tart can be served hot or at room temperature. 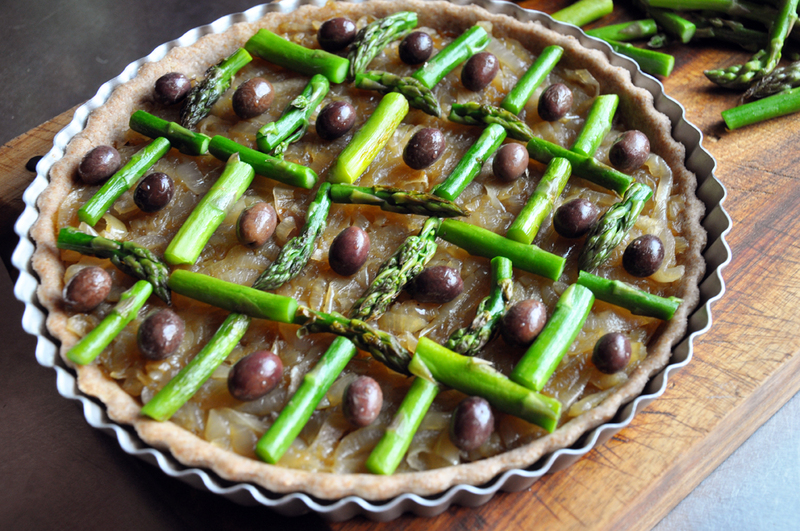 Beautiful recipe, this makes me so hungry.